It’s Monday! What Are You Reading? Presented by Sheila at Book Journey. Let’s get started! Boy am I out of things with reading lately. Went to Florida and was very busy there with little time to read. Then while I was there, I got very sick and didn’t feel like reading. Came back to New Jersey to find out I had bronchitis. No reading for about a week. Finally finished a book today. 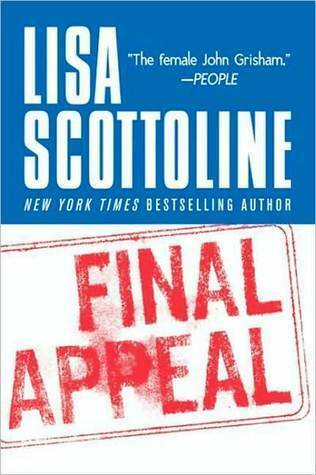 I’m liking Lisa Scottoline, but this is one of her earlier ones and I think I like later ones better. This was the first book I read on my Nook. It does take some time to become comfortable reading on the Nook. It’s just a strange feeling. This may have colored my feeling about the book. I’m sure as time goes on, I’ll become more at home with it. In general, I’m liking my Nook. Having not really been reading lately, I’m not even sure what my next up will be. I have no shortage of books here to start on. I just can’t even remember what’s in the pile at the moment. I realize that I am terribly behind in my book average for the year so far. My plan is to read several short books to get myself back on track and pump up the average. When my friend, Gail comes home from Florida, she’ll be bringing my bag filled with books that I got during our wonderful days of thrifting. One of which is Le Miserables. I was so excited to find a really nice paperback copy of it for 50 cents. I couldn’t believe how inexpensive books were at some of the yard sales we found. My friends were all laughing at me, knowing the collection of books I already have at home. When all of the books get here, I’ll let you know what they all are…I can’t even remember! PS: I started reading The Mysterious Benedict Society by Trenton Lee Stewart. last night. Looks interesting so far! Feel so much better now that I’m reading again! This entry was posted in Uncategorized and tagged books, It's Monday! What Are You Reading?, The Great Thrift Store Tour. Bookmark the permalink. happy reading this week, fran! hope your reading mojo returns! glad to hear you are liking the nook but i bet it is different and i do agree with you that the nook format could affect your feelings for the book you read on it. i think you should go to the pile, close your eyes, point, and that is the book you will read next!! Great idea, Cathy! That’s sort of what I did last night. I didn’t go with the book I’d intended. Started reading The Mysterious Benedict Society by Trenton Lee Stewart. Pretty interesting so far. Have a great day, Cathy! Thrift store book sales are deadly. I’m out of room on my shelves. Thanks, Laurel! I’ll probably get back to the Nook and it’s a great tool to have a lot of books with me when I travel, but I’m still more comfortable with a print book. I realized that last night when I picked up a real book and started reading. Have a great week! So sorry you have been sick! 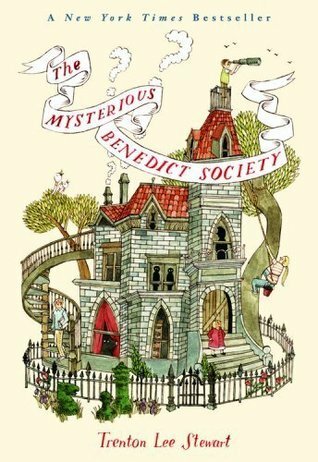 The Mysterious Benedict Society is one I have been wanting to read. Thanks, Sheila…I’m feeling better, but still not 100%. I’ll get there though. I’ll keep you posted on the book. Looks interesting so far. Happy Reading Fran! I love to read too but seem to be having trouble finding a lot of time lately. I just finished Last Night in Twisted River by John Irving. I haven’t been reading that much since I got sick. What did you think of Last Night in Twisted Rier. I usually love John Irving, but sometimes, I wonder. I’ll be very interested to read your review of the Benedict Society. I picked it up a long time ago… but couldn’t finish it… I don’t know if I just wasn’t in the mood or what. I should give it another go. Hi! I’m enjoying it so far. It’s going slowly, but I think that’s just me because I’ve been sick. Hoping to finish it this weekend. Thanks for visiting!